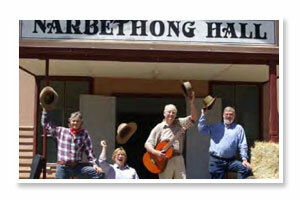 The Narbethong Hall opened on 26th November 2011 by the Governor of Victoria, Hon Alex Chernov AC, QC. Getting to this point involved an amazing, collaborative effort by many volunteers, government and private sector organisations, and individual contributors, who shared a vision of a new community hall to replace the one destroyed on 7th February 2009, in the Black Saturday bushfire. The architecturally designed hall features beautiful timber and is ideal for weddings and other functions. Wide granite bench tops in the kitchen and the under cover double electric barbeques make it ideal for function catering. Excellent acoustics and timber floor provide a great setting for music and dance. Fully furnished meeting rooms enjoy beautiful rural vistas. In February 2009 wildfire raged across Victoria. In the Shire of Murrindindi, 1,539 square kilometres (40% of it) was burnt. 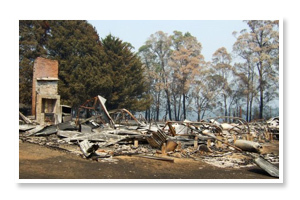 Ninety five lives were lost, 1,397 dwellings were destroyed and many community facilities were totally or substantially destroyed by the fires. Narbethong is a small rural settlement which was hard hit, with the majority of homes and businesses destroyed or damaged, and most tragically, the loss of four lives. 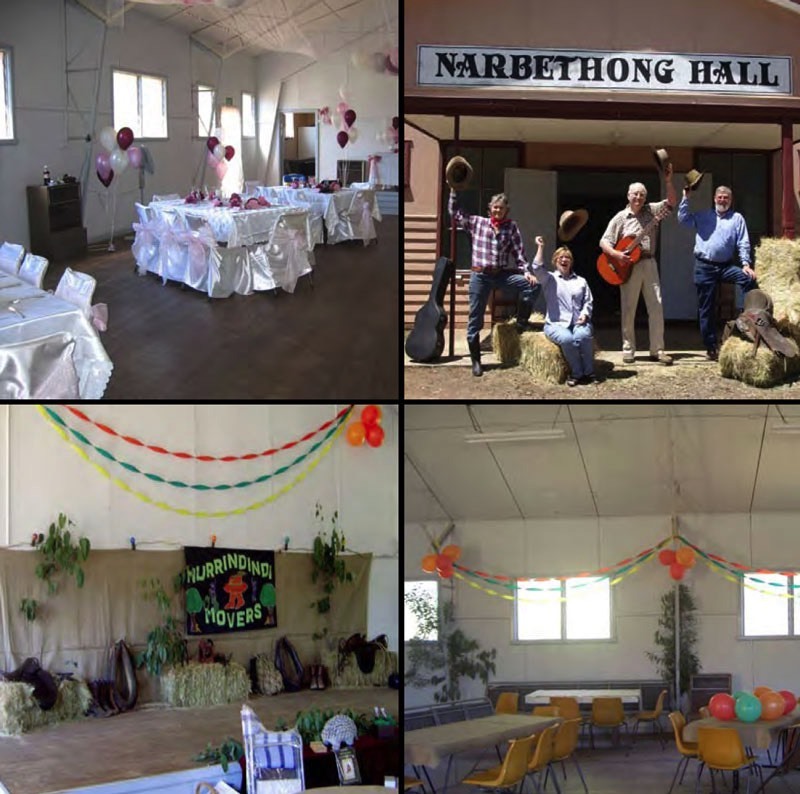 The Narbethong Community Hall was totally destroyed on Black Saturday. Half of the voluntary Hall Committee members lost their homes and the others homes were damaged. All but one committee member had their businesses damaged or destroyed in the fire. Despite this, the Hall Committee has been proactive in its efforts towards reconstruction. The rebuilding of the community hall is an important step in the recovery of this small community. Read about the rebuild here. The Original hall before it was destroyed. 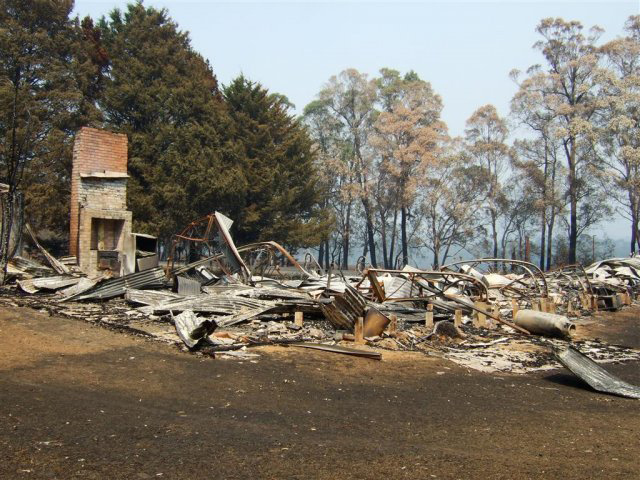 The hall after the devastation of the 2009 Black Saturday fires.